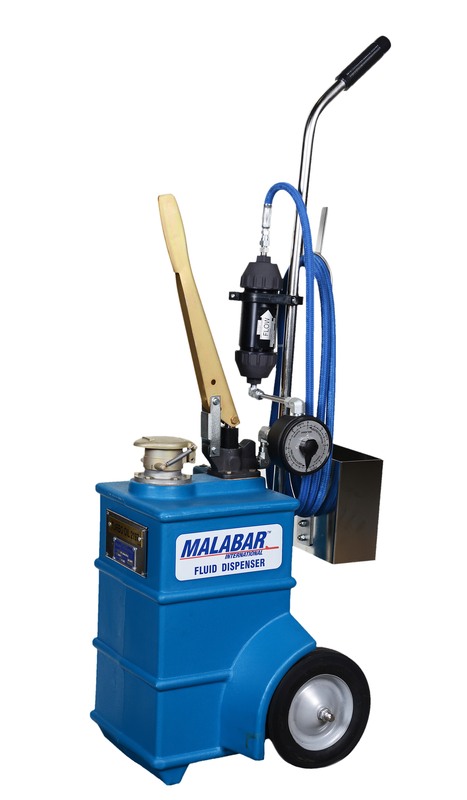 The Malabar Model 350 Turbine Oil Dispenser is a durable, lightweight and portable 5 gallon fluid dispenser used to service various commercial aircraft engines, APIs, CSDs and IDGs. 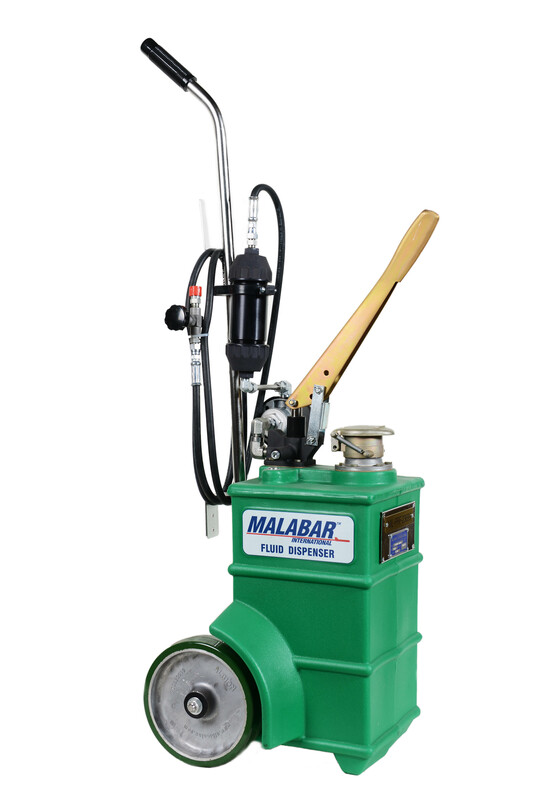 The hand pump dispenser consists of a reservoir, pump assembly, filter assembly, fluid meter and a fluid delivery hose. 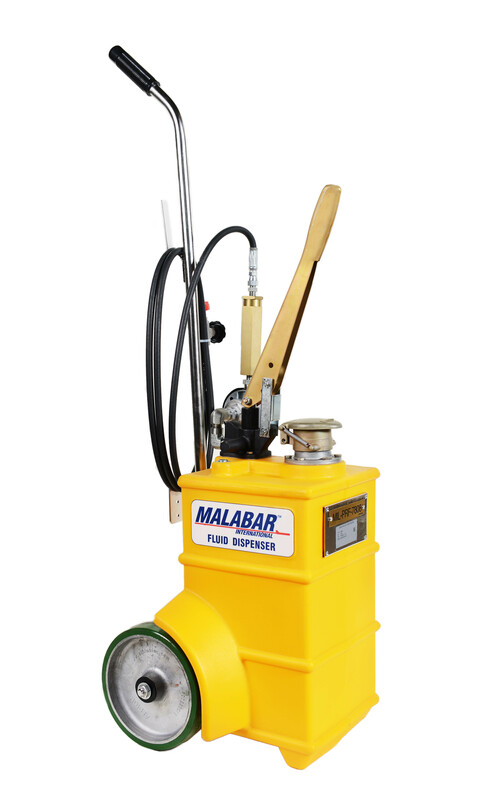 Model 350 is built to withstand harsh environmental conditions and rugged use, and to provide many years of continuous service. 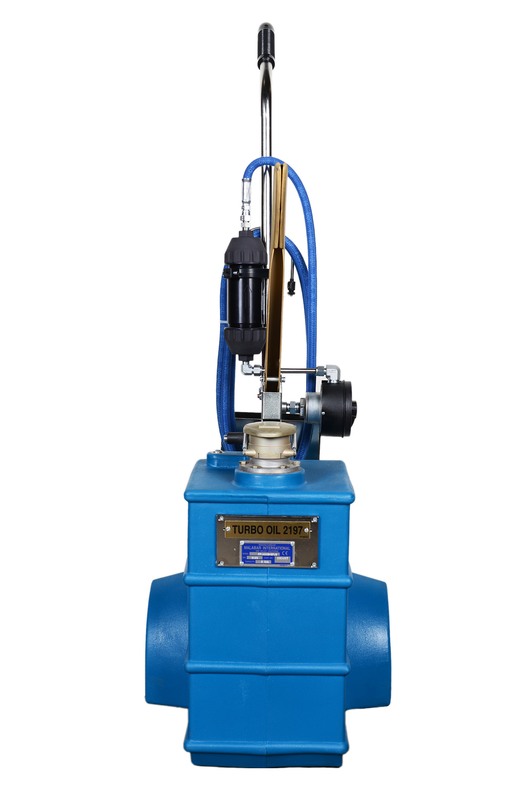 Our customers are guaranteed a quality product with each purchase and are assured of our continued product support whenever and wherever the need arises. 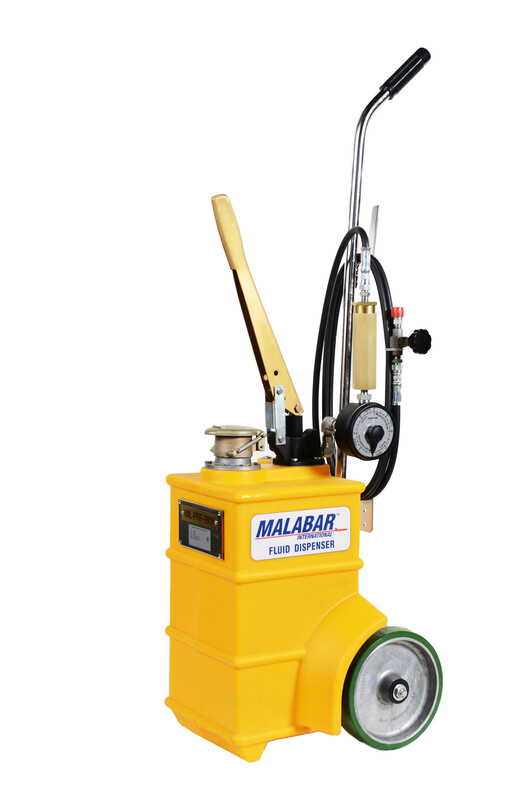 Durable, lightweight and portable 5 gallon capacity reservoir made from specially formulated "HS" crosslinked polyethylene material that is impervious to petroleum based fluids, hydraulic fluids, UV, solvents and cleaning solutions. "HS" units maintain a very high impact strength even at sub-zero temperatures and are available in several colorfast colors for easy identification of proper fluid type. 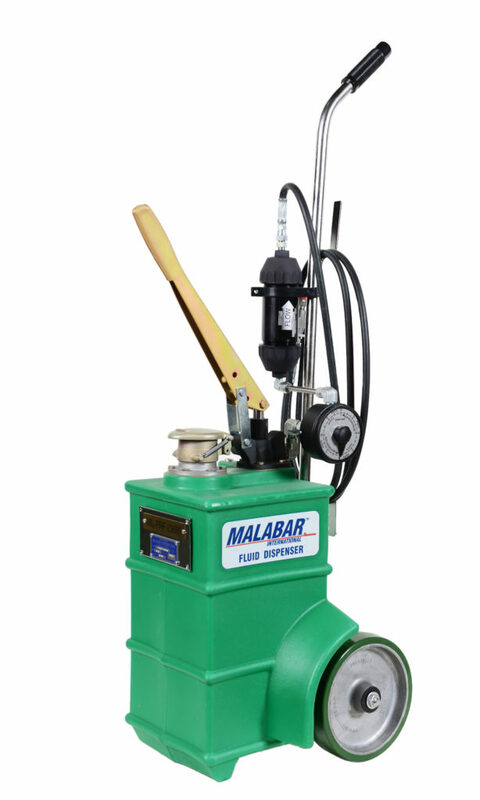 Copyright © 2019 Malabar International. All Rights Reserved.